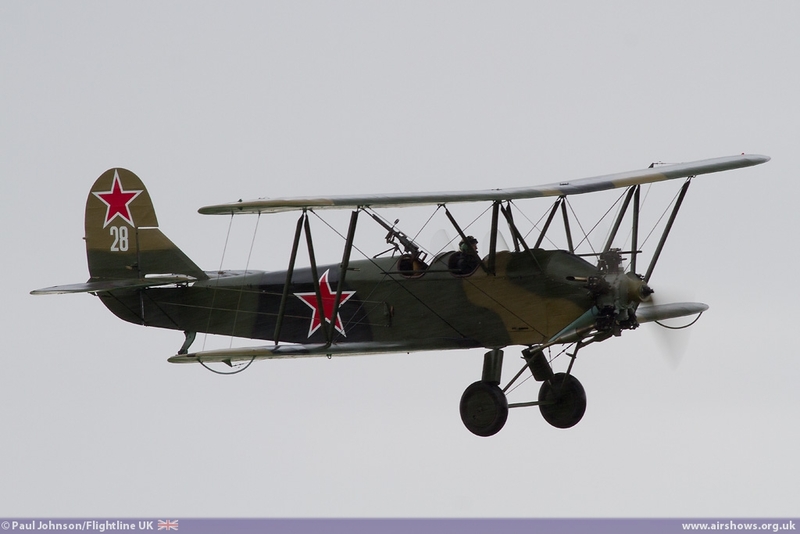 No airshow season could be complete without a visit to Old Warden. 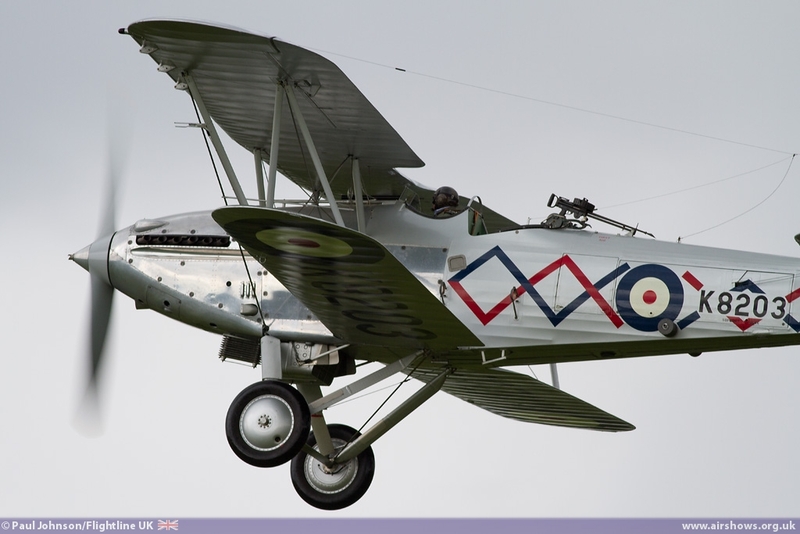 This year has seen another re-organisation of display dates so we've started our visits to Old Warden slightly late this year. 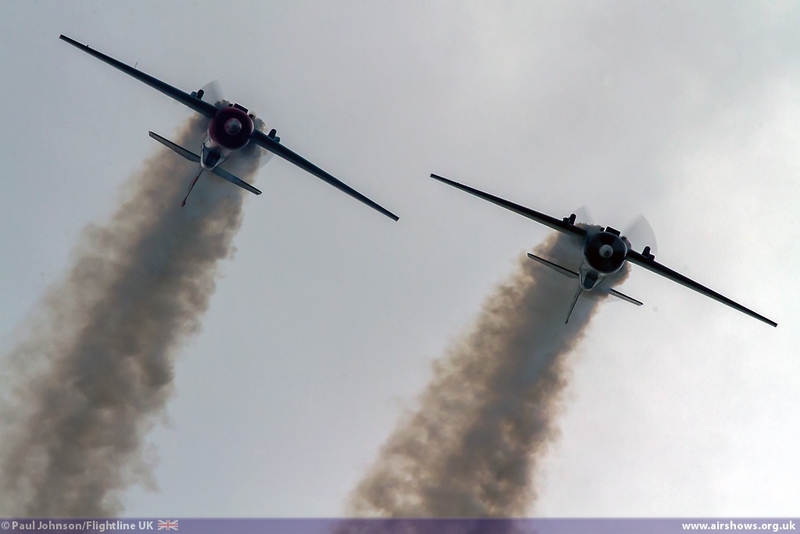 The end of the June saw the first "Military Pageant" of the year timed to coincide with the National Armed Forces Day. 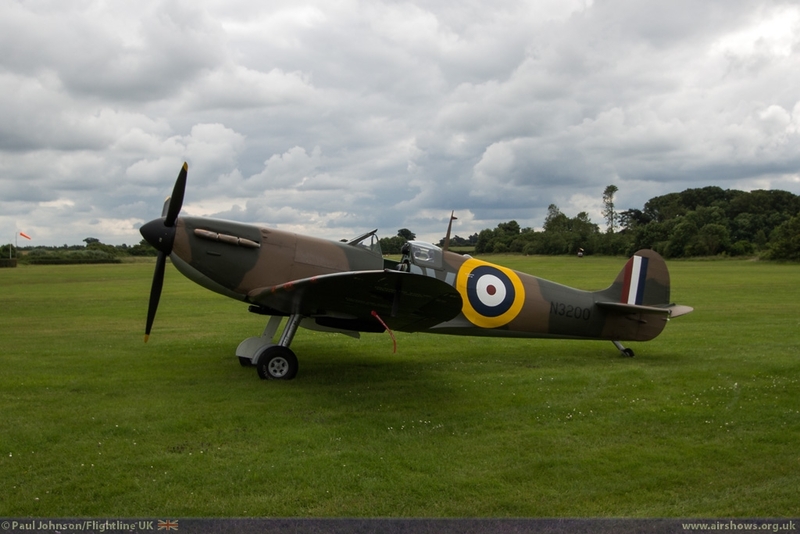 The show not only featured the Collection's own superb collection of aircraft, but a large number of visiting acts which should have made it one of the best Shuttleworth Shows of recent years. However, some poor weather and other circumstances prevented the full plan coming together. 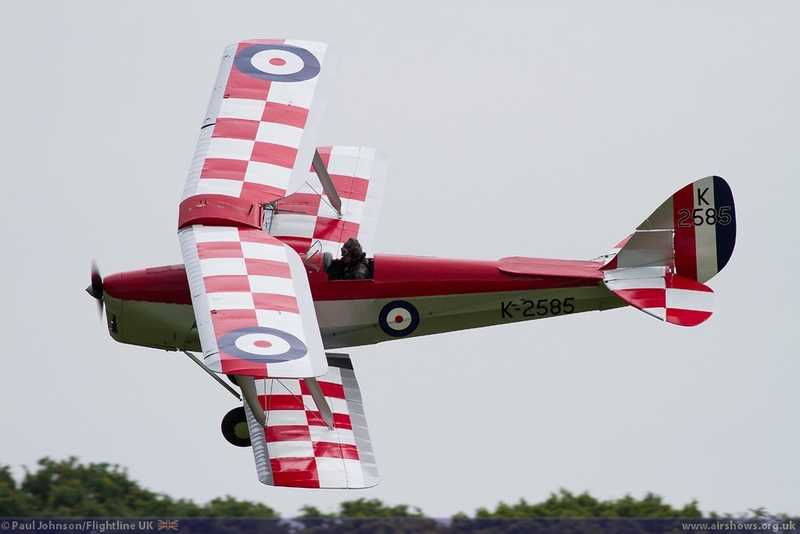 Paul Johnson/Flightline UK reports from the opening day of the event. All photography by the author. 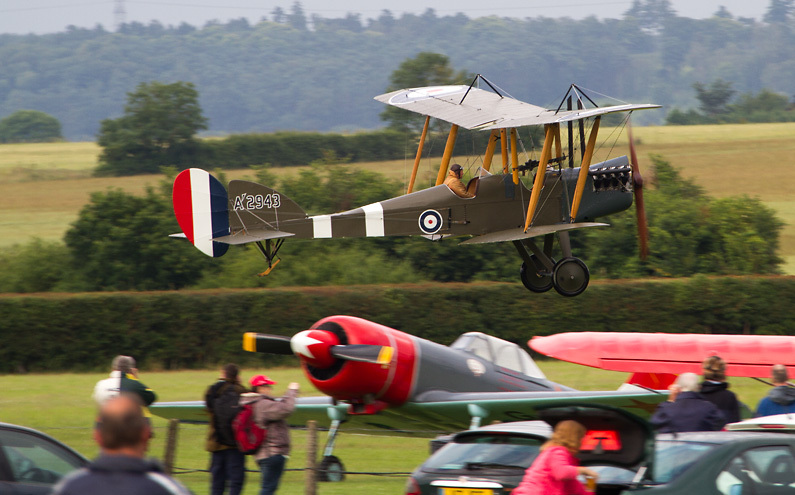 There can be few more quintessentially British places than Old Warden Aerodrome on a typical summer's afternoon. That unique mix of Picnics and various oily odours from the vintage vehicles and aeroplanes is part of the the Old Warden mix that is so charming. 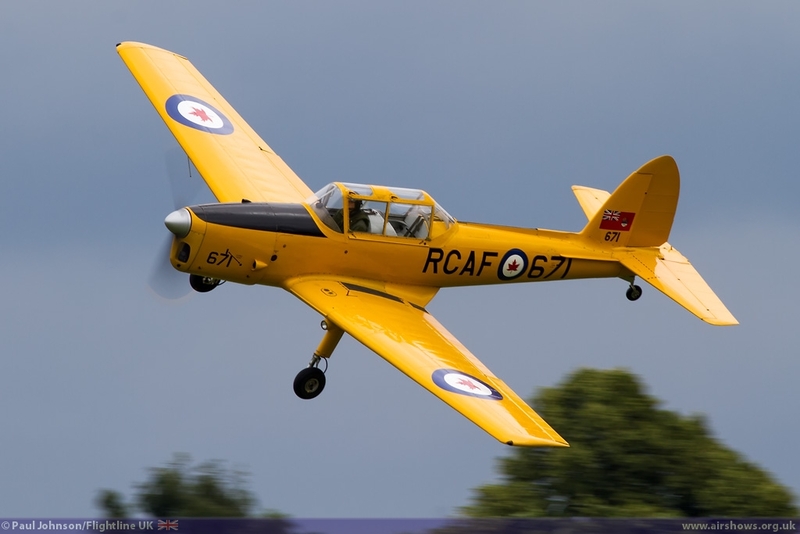 The Military Pageant's are amongst the most popular Old Warden Airshows of the year and it seems for 2014 some extra efforts has gone into making them more special. 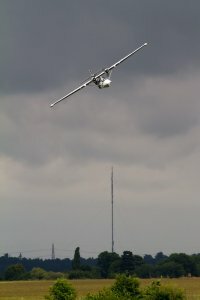 Sadly it proved to be a frustrating day with weather and other circumstances playing havoc with what were superb plans. 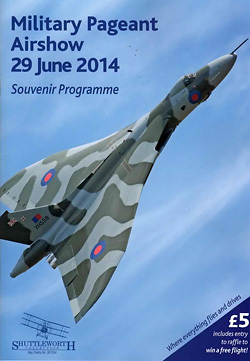 In the week before the event, the event lost a flypast by the Vulcan due to the cancellation of another event. Then show day, which had been forecast to be a pleasant dry day turned into a quite unsettled one with frequent showers and fairly breezy conditions. 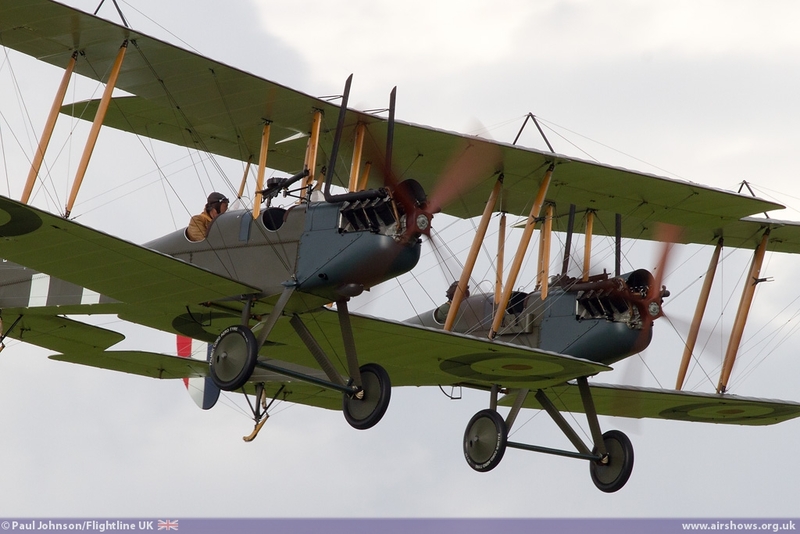 The First World War Centenary is something that can be marked at Old Warden in very unique style with the Shuttleworth Collection's fleet of original and faithful full reproductions. 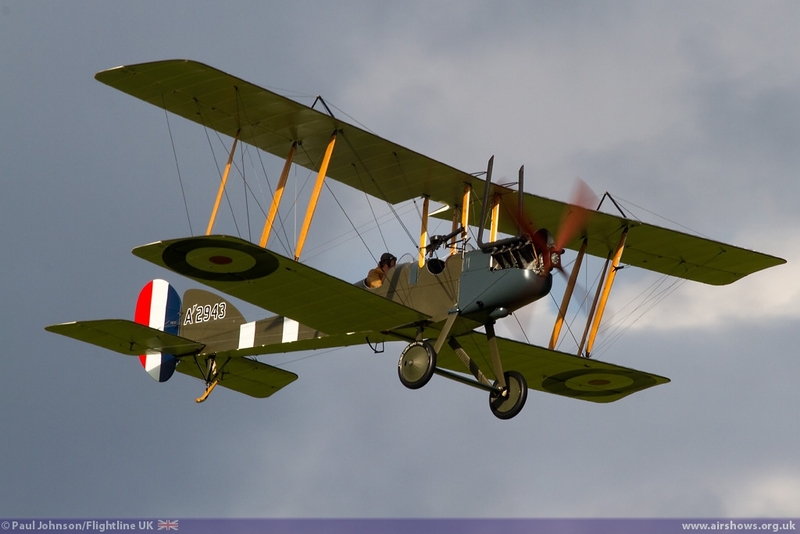 Sadly many of the First World War One aircraft were grounded by the rain which soaked the fabric covering before they could fly. 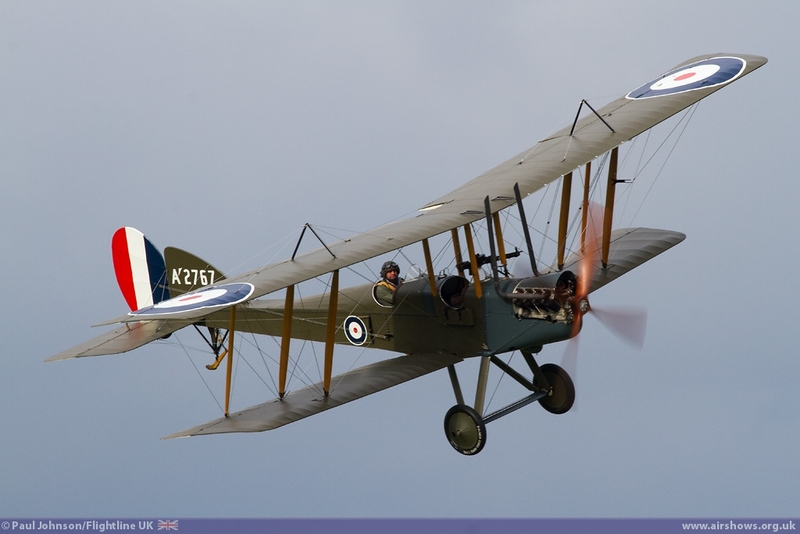 Both the Sopwith Pup and Triplane did fly giving the crowd a nice demonstration of rotary powered aircraft. 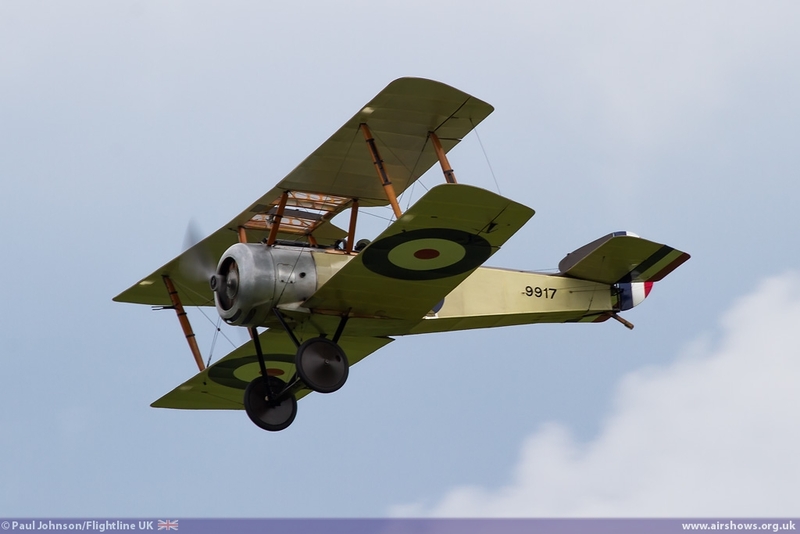 Sadly, at the end of the display, the Triplane flown by chief pilot Roger Bailey clipped the fence on the far side of the run unsettling the aircraft which ended up on its nose, fortunately without causing injury but causing significant damage to the aircraft. 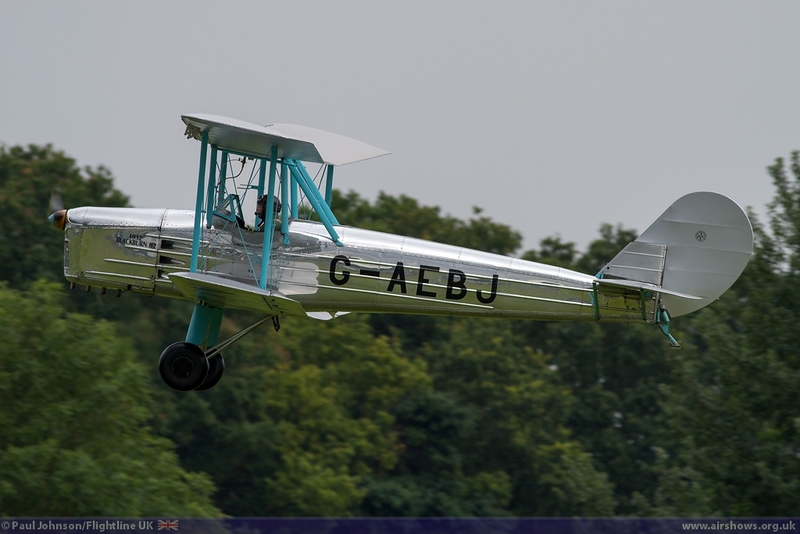 The resulting rescue and recovery did cause quite a hiatus to the display but full credit must go to the Shuttleworth Emergency crews and ground staff that reacted so swiftly and professionally. 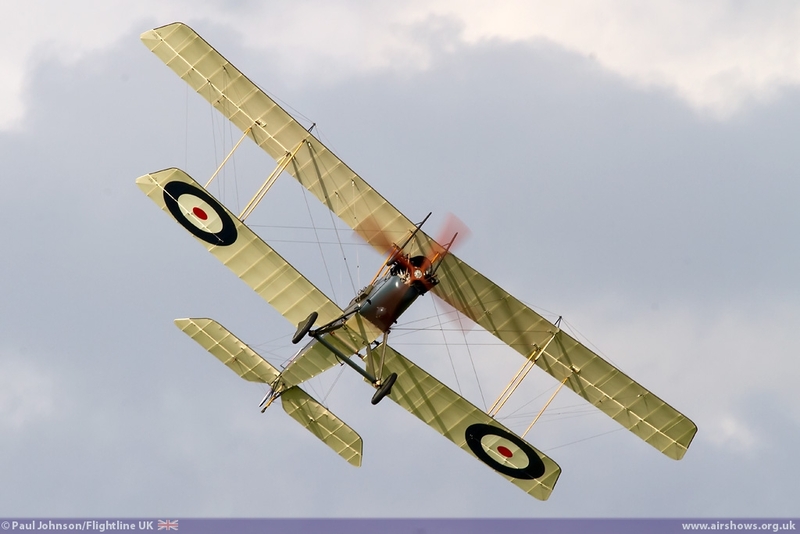 In recent years, there has been increased interest in restoring aircraft from the inter-war years. 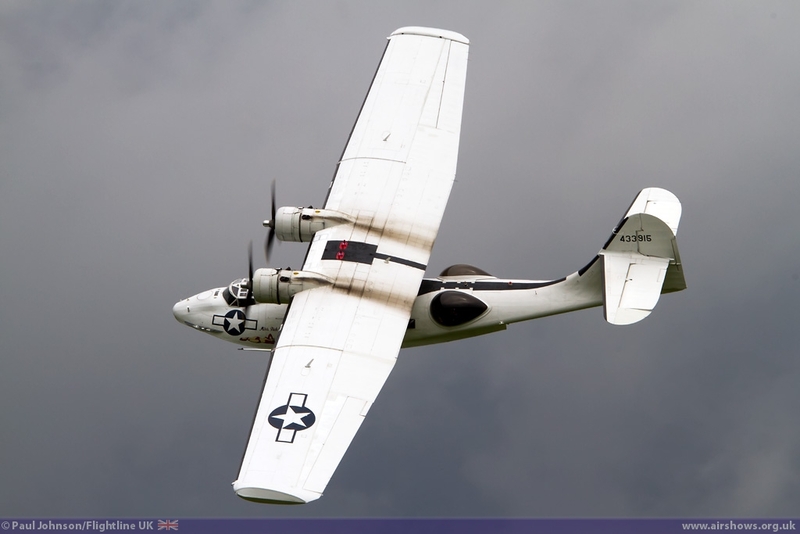 Old Warden has always been at the forefront of this period of aviation with its unique collection of civilian and military aircraft from this era. 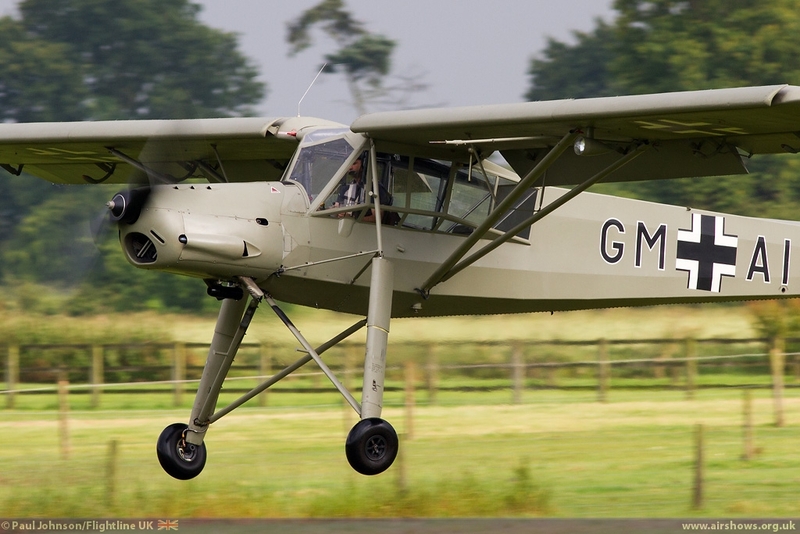 However, other operators are starting to return more of these aircraft to flight. 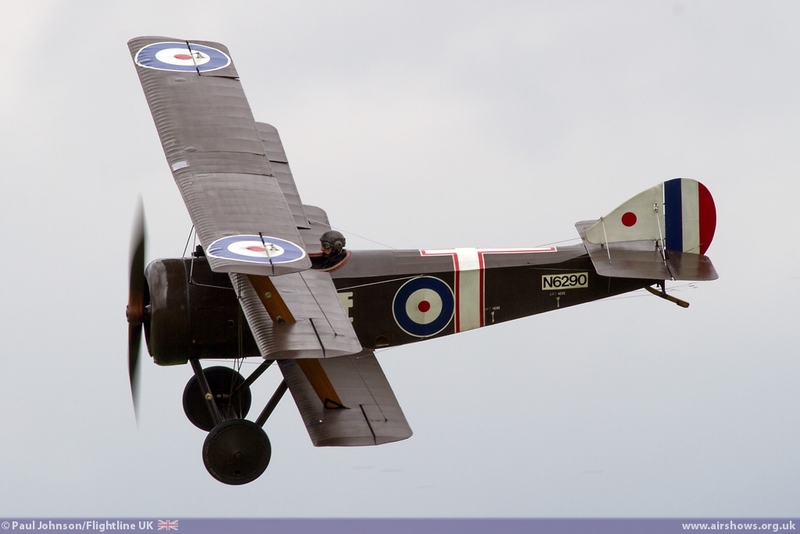 A stalwart of Old Warden flying displays has been the Hawker Hind. 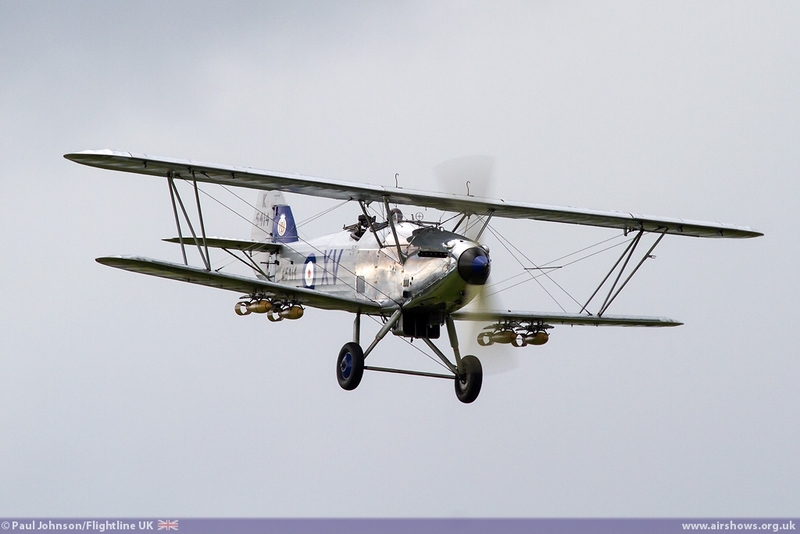 It is a stunning example of the 1930's Hawker Biplane designs and has long been a personal favourite. 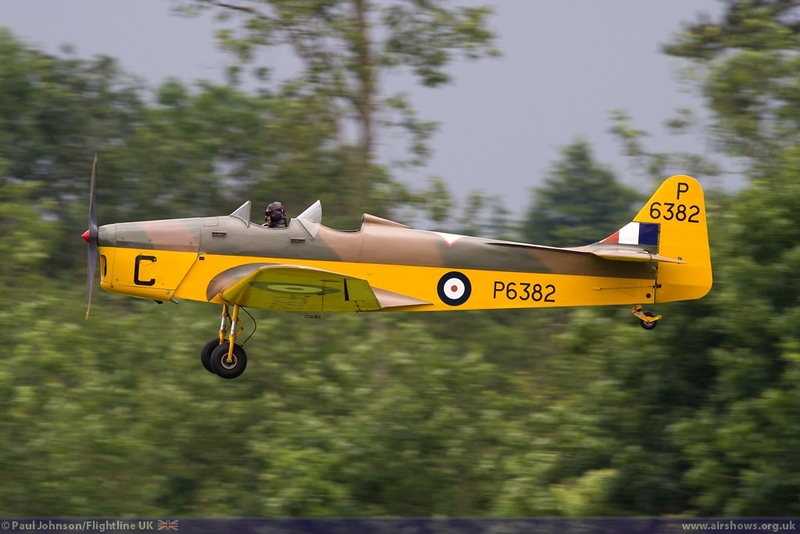 Only a few years ago it was joined by the Skysport restored Hawker Demon which though not a collection aircraft, is based at Old Warden. 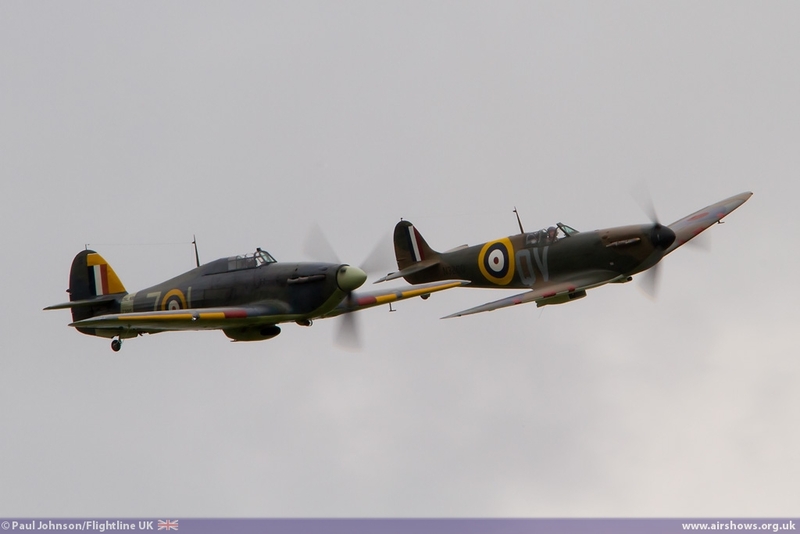 Both flew during the afternoon and looked superb against the threatening skies. 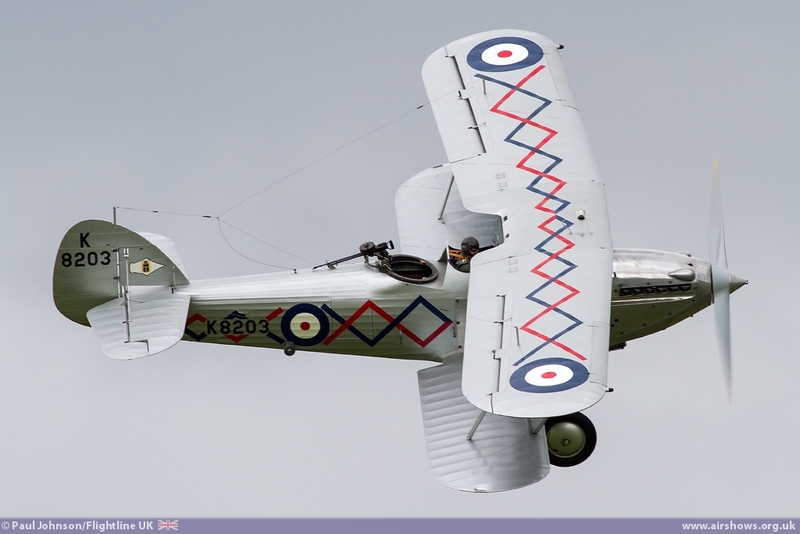 The inter-war flying continued with many of the collection's own aircraft including the de Havilland Tiger Moth, Polikarpov Po-2 and Miles Magister as well as BAE Systems' Blackburn B2. 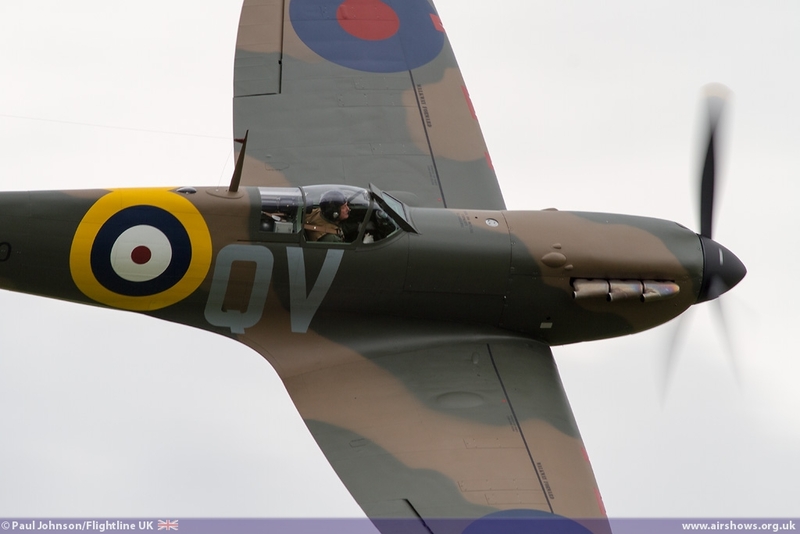 The Second World War flying is always a highlight of a Shuttleworth show. 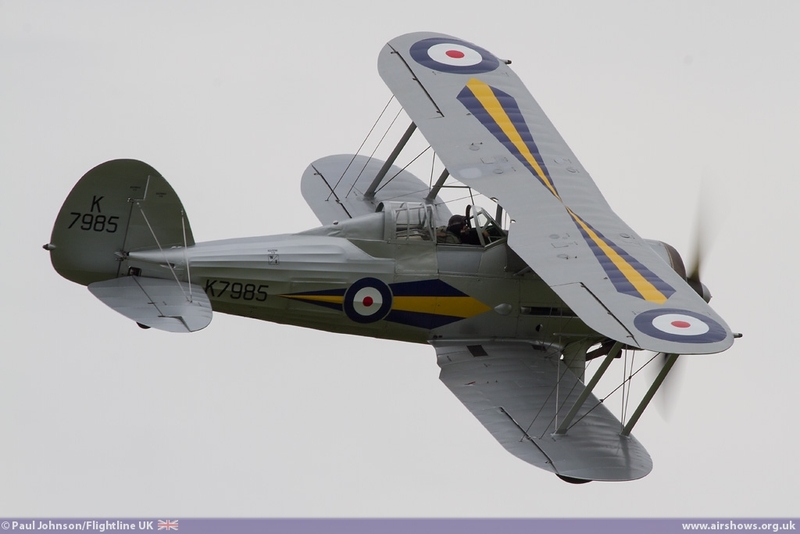 The Collection's own Gloster Gladiator flew a solo early on the programme. 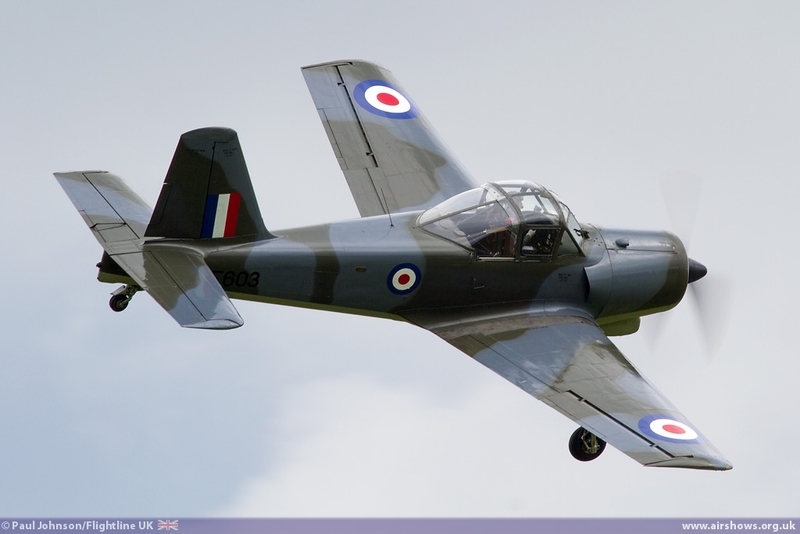 It had been hoped TFC's recently restored example could join in, but weather at Duxford prevented it getting to Old Warden. 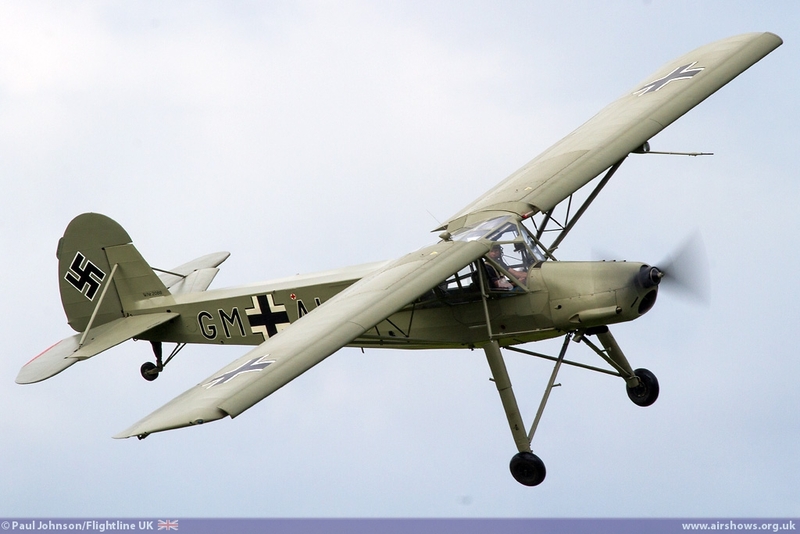 Peter Holloways's Fiesler Storch gave a superb display in one of the few periods of sunshine. 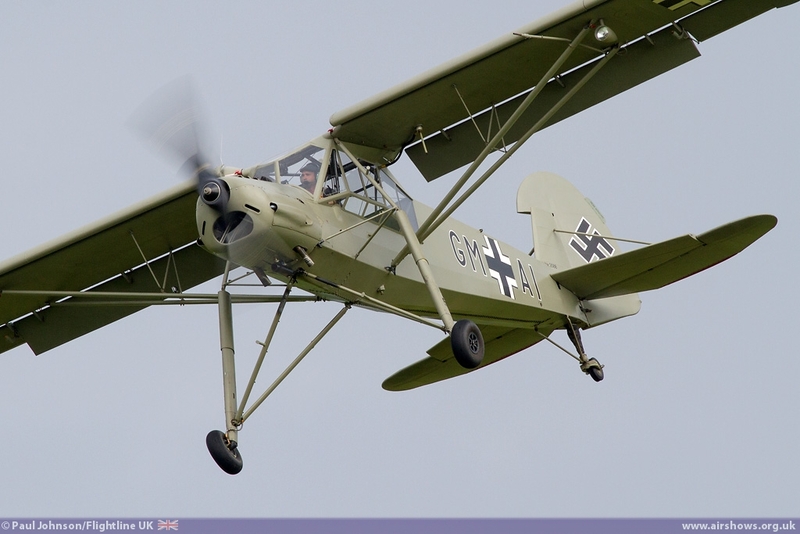 The impossibly slow flight and short take off and landings of the Storch never fails to catch the attention of the crowd. 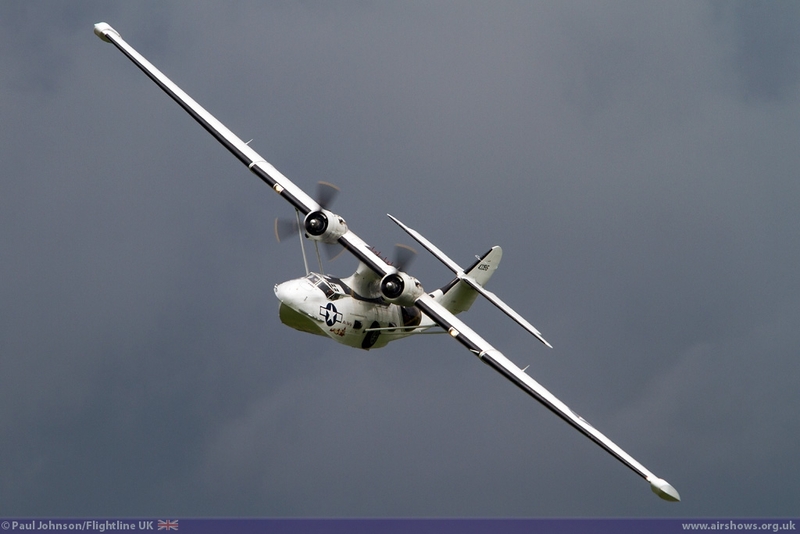 Making a welcome return to Old Warden was Plane Sailing's Consolidated PBY-5A Catalina based at Duxford. Seeing such a large aircraft display over the small confines of Old Warden is always impressive, particularly with the dog-legged crowdline which allows the aircraft to make curved passes showing the top-surfaces of the large wings. 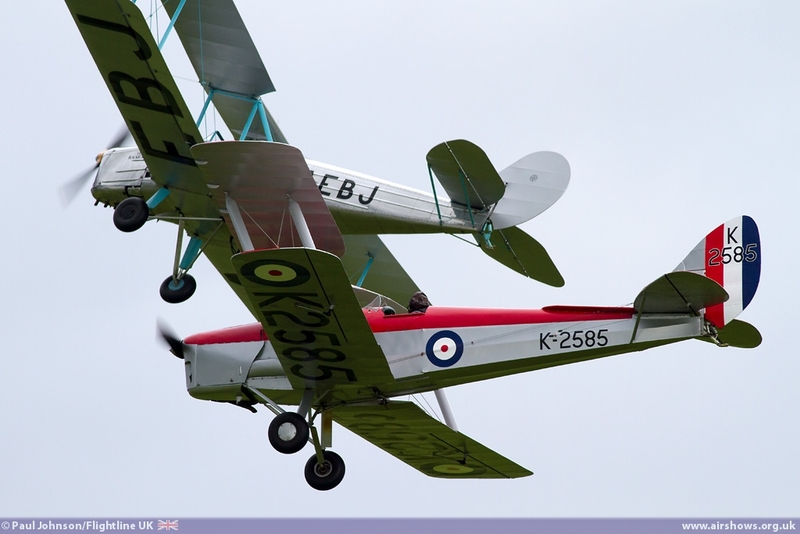 However, it was the final Old Warden-Duxford joint display that was perhaps the highlight of the event. 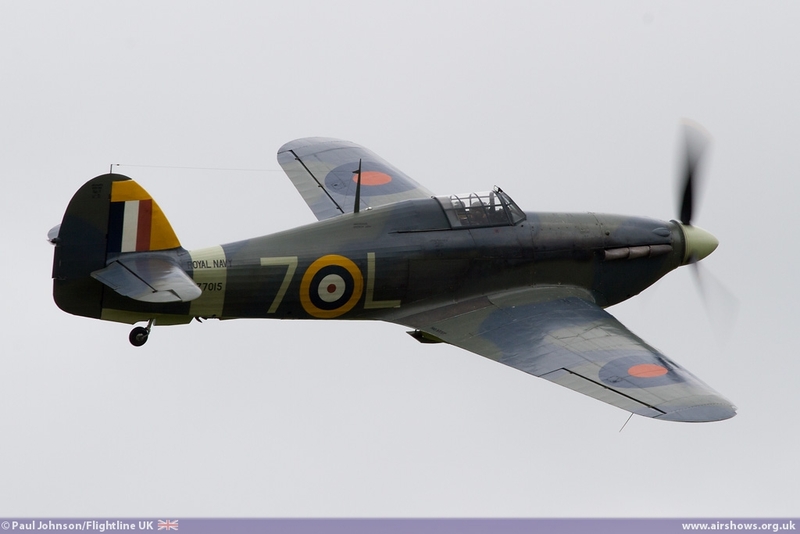 The Collection's Hawker Sea Hurricane Ib is one of the earliest examples of the Hurricane left flying and as such has an early Merlin III powering it. 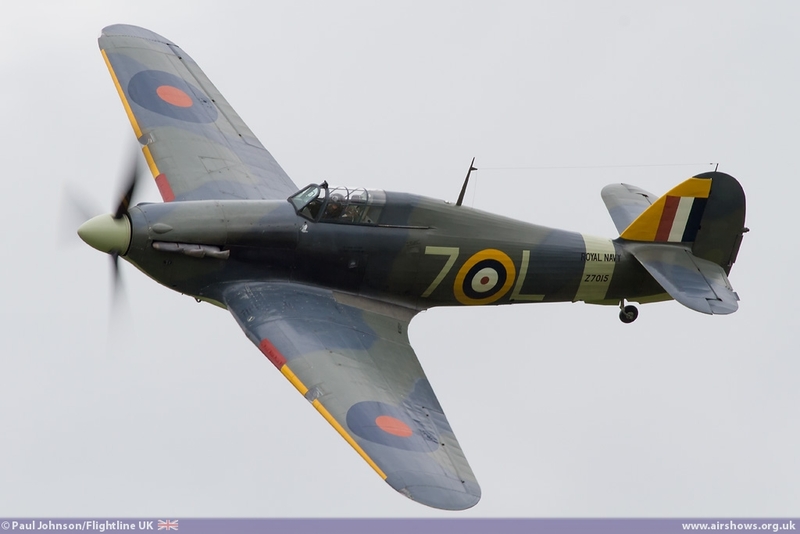 For the Military Pageant, the Sea Hurricane was joined by the most recently restored Supermarine Spitfire Ias that has been made airworthy, N3200. 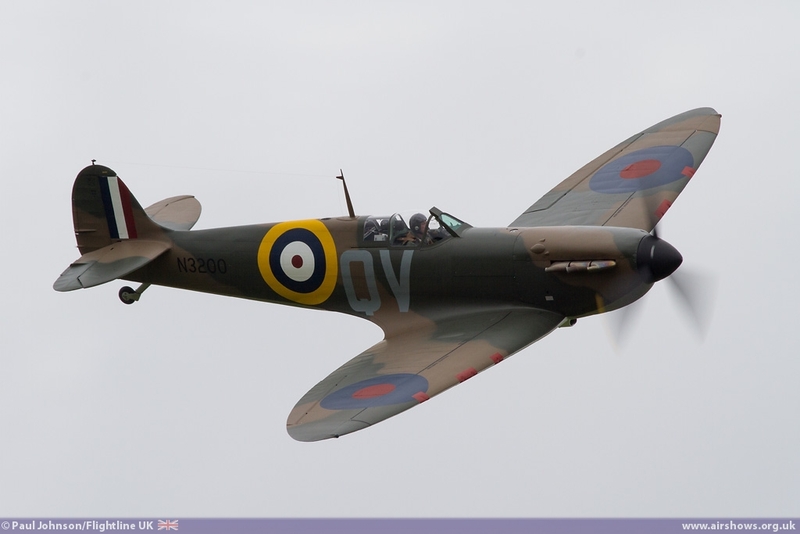 Both went on to perform solo displays, but the solo of the Spitfire in the hands of Cliff Spink was lyrical with some lovely smooth aerobatics combined with the pleasing whistling and sublime engine note of the Merlin III engine. 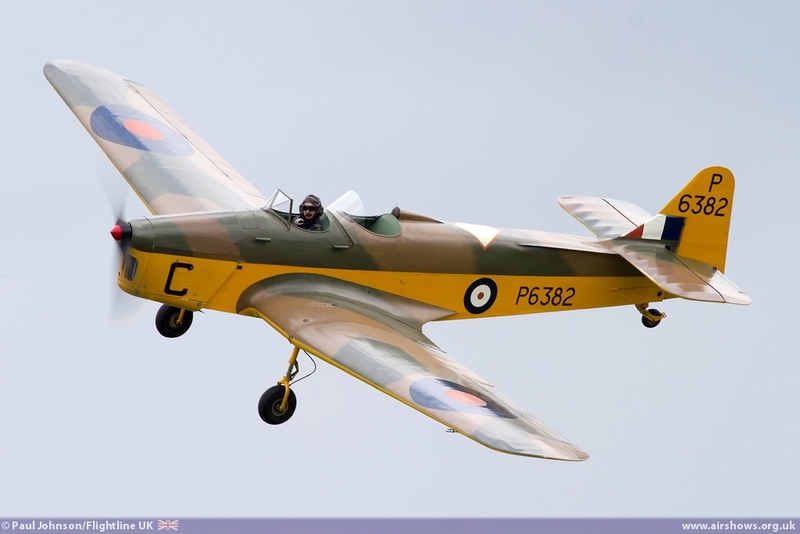 Post war types were not forgotten either. 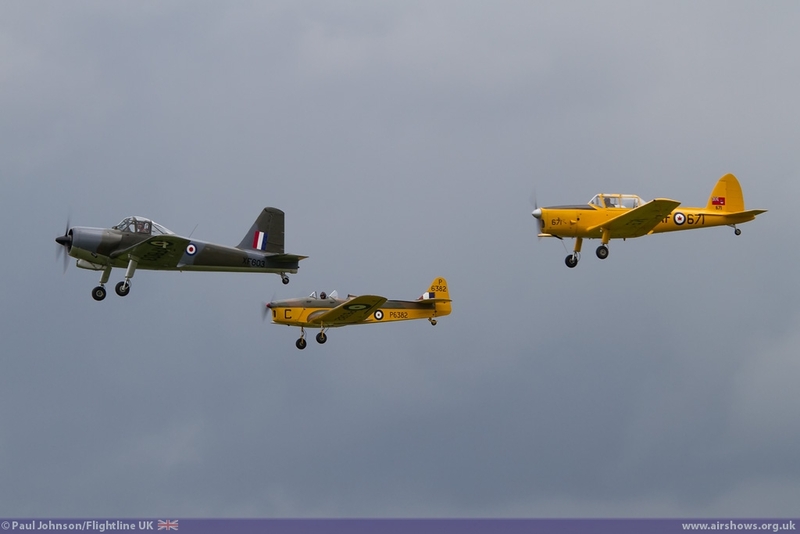 Amongst the formations of trainers, the Collection's own de Havilland Canada Chipmunk and Percival Provost took part in the flying displays with the other military trainers. 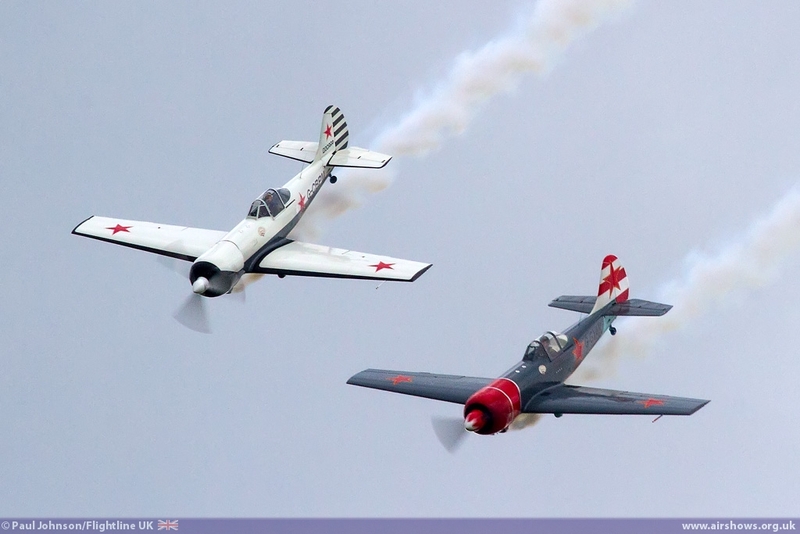 A display of close formation aerobatics came from Mark Rijkse and Phil Ansell of the Aerostars and their powerful Yakovlev Yak-50s. The Yak-50 has a great presence in the air thanks to its powerful radial engine and the two Aerostar pilots put on a superb display. The only jet in the display was Graham Peacock's beautiful Hawker Hunter T7 flown by Chris Heames. 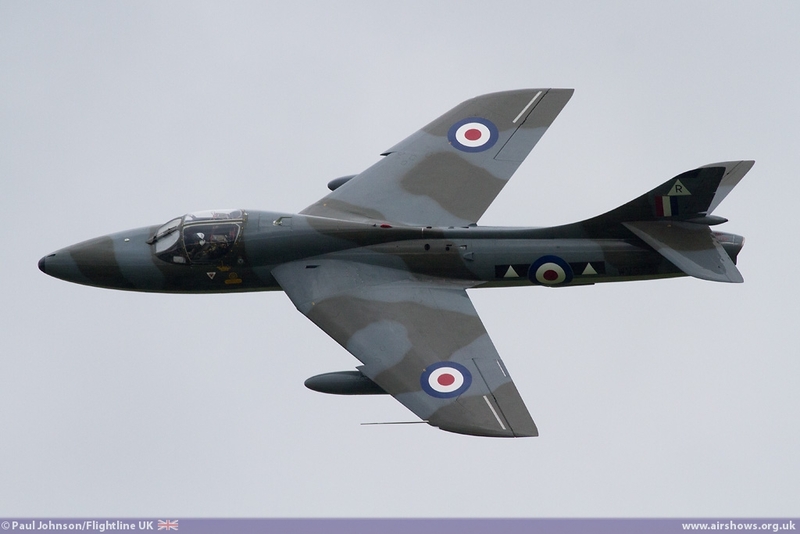 Based at North Weald, this Hunter was formally of the Delta Jets fleet at Kemble and was also part of the Team Viper display which Chris often led. 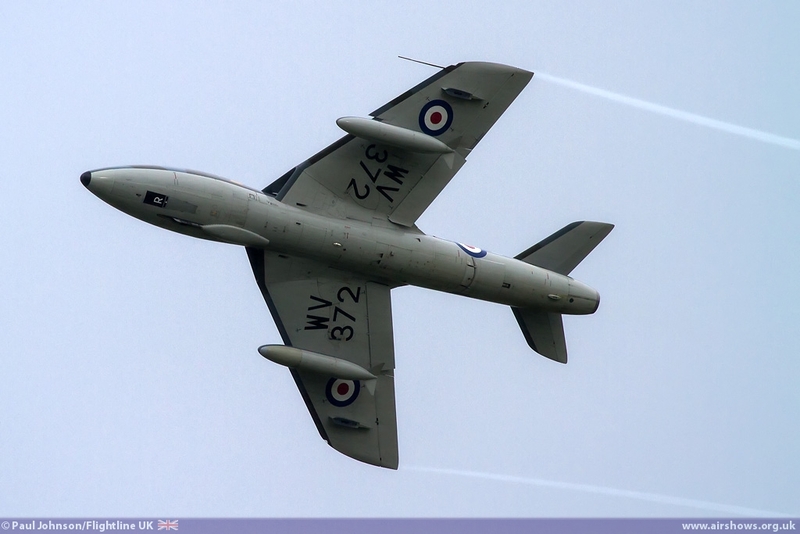 Chris always puts on such a smooth display in the Hunter and he coped with some quite difficult conditions as one of the showers cleared the display area. However, for those that persevered and waited to the very end, the best was certainly left to the end. 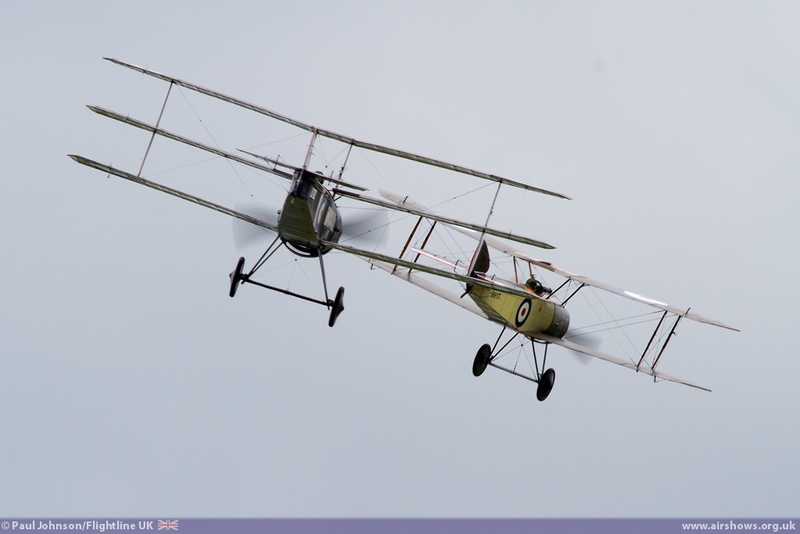 Following the Triplane accident and the continuous showers, the thought of flying TVAL's pair of RAF BE2Es seemed an unlikely one. 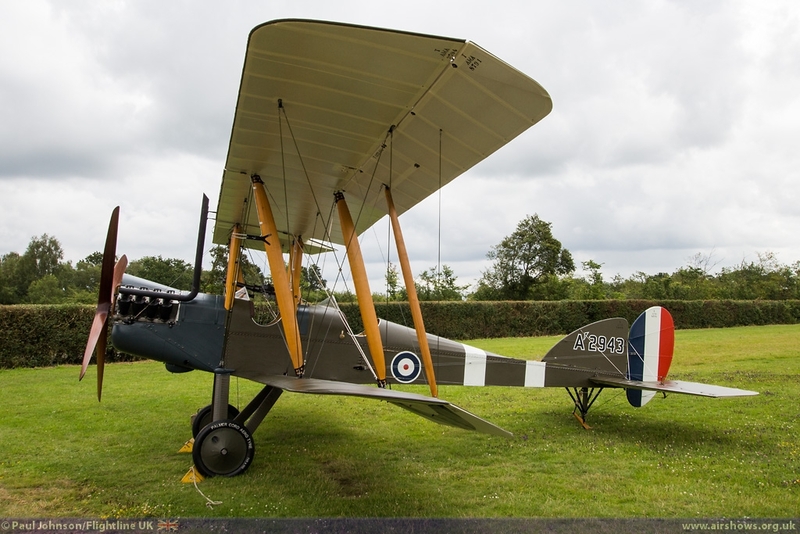 These two aircraft are the first of a fleet of these quite incredible reproductions built in New Zealand that have been imported to mark the Centenary of the First World War and form a collection of airworthy WW1 aircraft at Stow Maries Aerodrome in Essex. 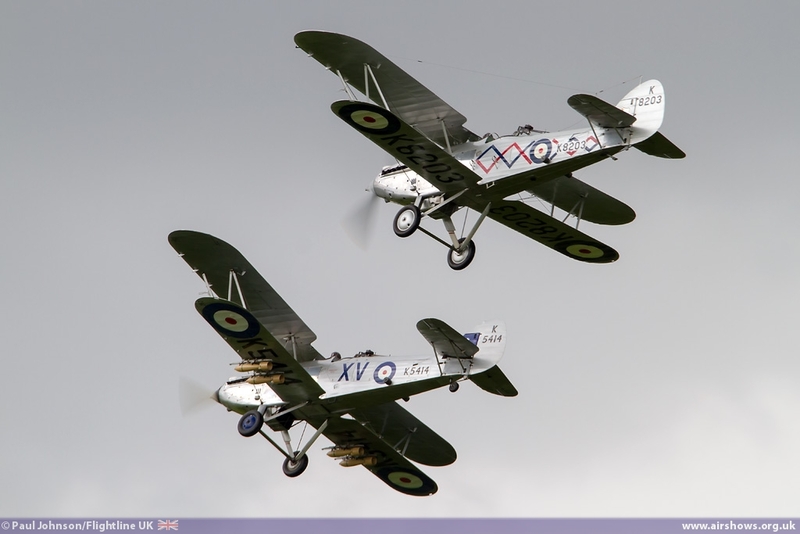 To their great credit Gene de Marco and Stu Goldspink kept the hope of flying these wonderful aircraft alive throughout the day and they eventually took to the air right at the end of the day in the late afternoon sunshine to provide a wonderful finale that certainly help bring back some of the magic of Old Warden. 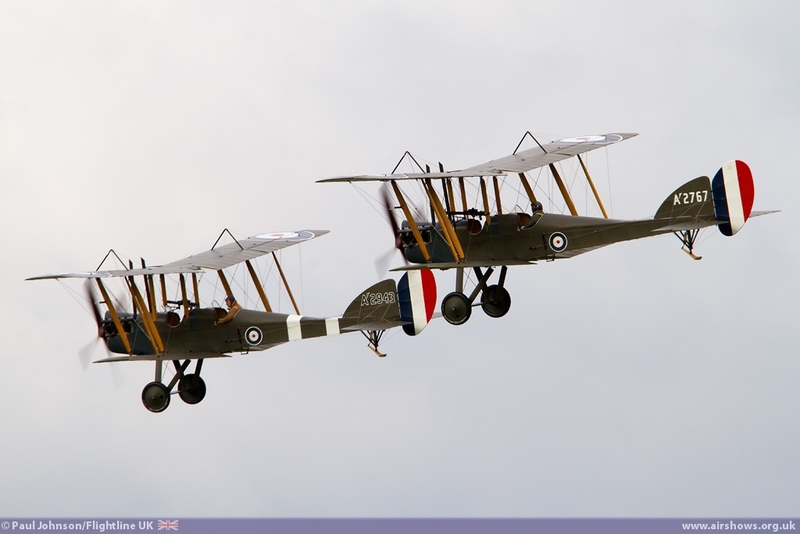 Illuminated by the golden rays of the late afternoon sun and set against the huge rain clouds to the east, it was the first time two RAF BE2Es had flown together since 1919! 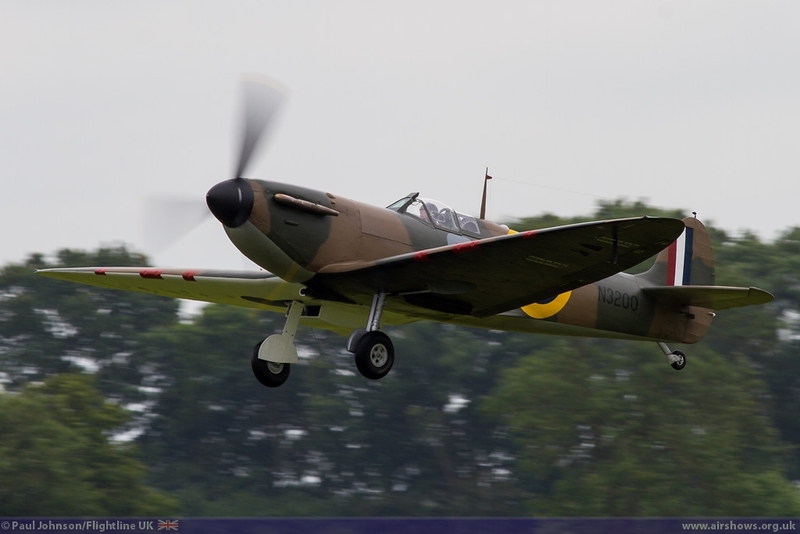 These aircraft are far more than replicas, even the engines are exact versions of the RAF Ia Aero-engines built by TVAL. 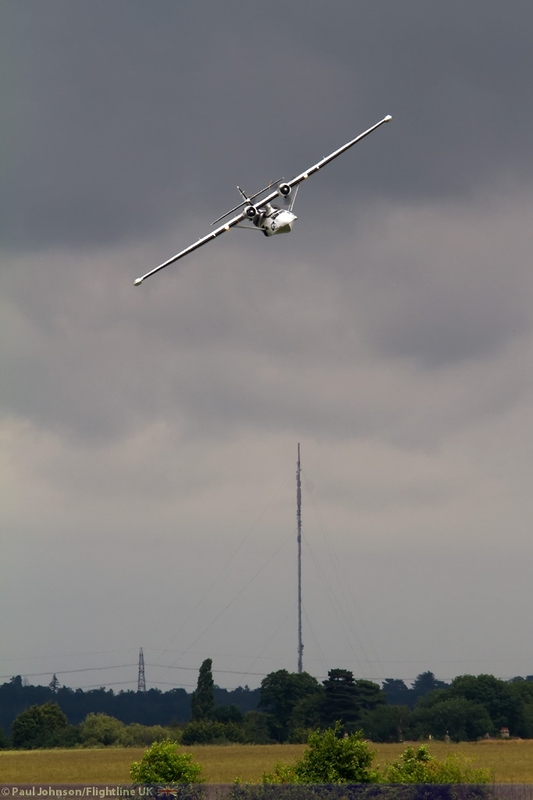 We cannot wait to see more of their work in UK skies. 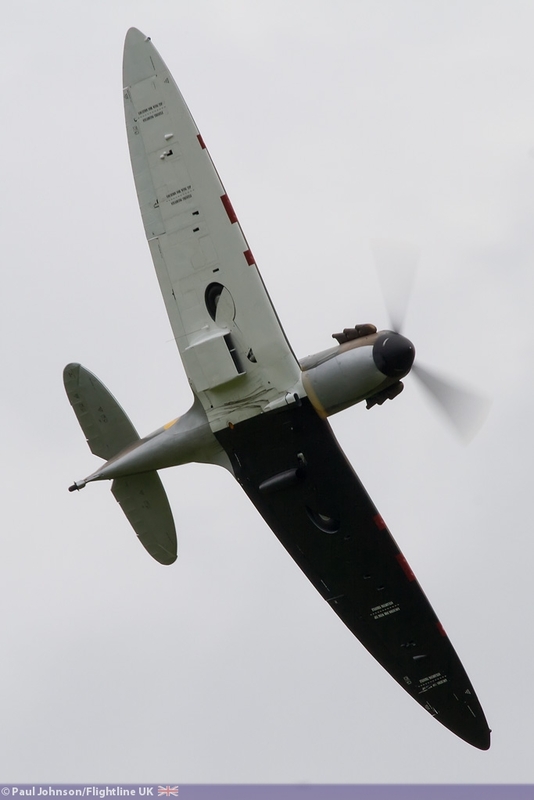 It was certainly a day to try the patience of the audience with poor weather, but ultimately a day that rewarded with two very memorable flying displays by Cliff Spink in the Spitfire Ia and the two TVAL RAF BE2Es in the wonderful setting of Old Warden Park. 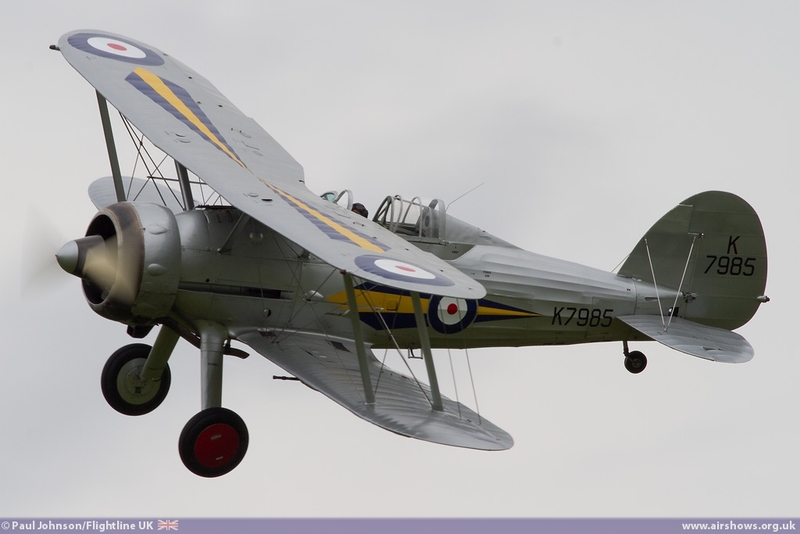 It would have been even better had the full plans for the show come together and we hope that a future show may yet see the Gladiator pair and the TFC Nimrod join with the Hind and Demon.